Via their Twitter, the Transformers TCG peeps have revealed info regarding their upcoming launch event for the next wave of cards including a launch-exclusive card, and a new card from Wave 3. The former, only available via promo kit and not through booster packs, is “Private Smashdown” and “Airquake Hammerclaw” which features both the robot and weapon modes of the upcoming weaponizer Smashdown from the War For Cybertron Siege line. 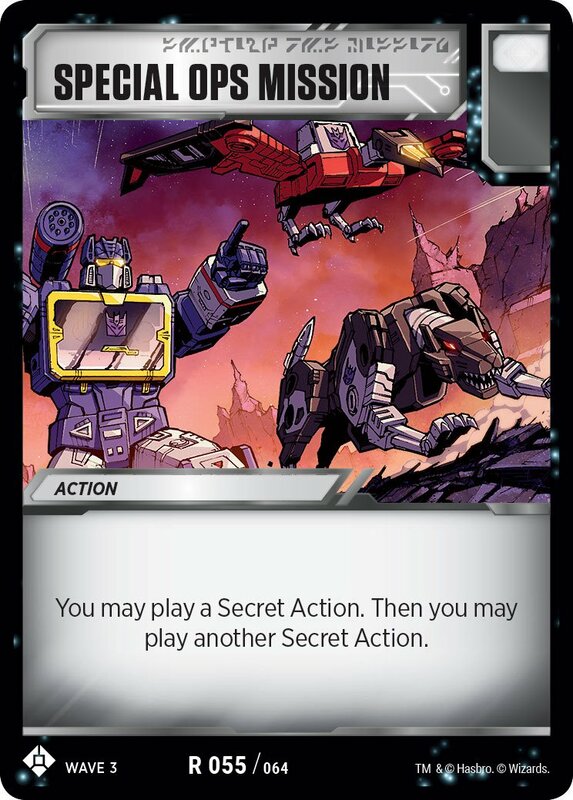 The latter, presumably available through usual means, is Special Ops, a card featuring Soundwave ejecting his cassetticons that allows players to perform two consecutive secret plays. According to the &#187; Continue Reading. The post Transformers TCG Wave 3 Launch Event News and New Card Reveal appeared first on Transformer World 2005 - TFW2005.COM.